The new ActiveCollab was launched silently in mid-May. Before making a big announcement, we needed to have a stable self-hosted version and weed out any remaining bugs. When everything was ready, we decided to notify everyone with one giant newsletter. But, we only had one shot at it so we wanted to get it right. 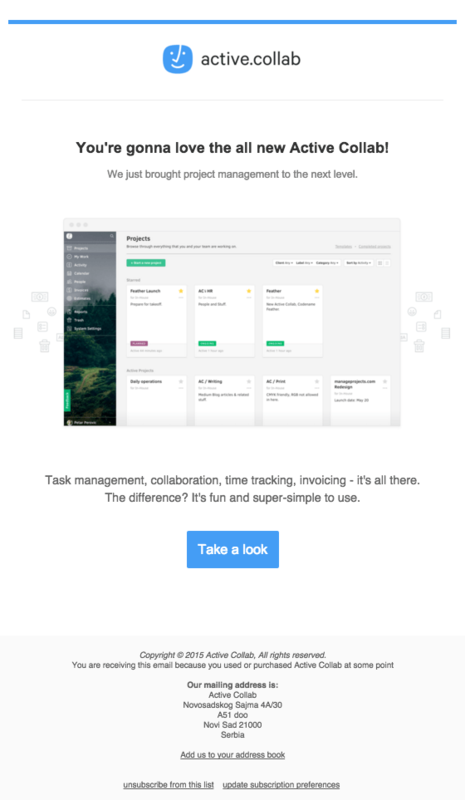 Back in May we already designed a newsletter which highlighted the most prominent features, but it looked cluttered and ran against our “simplify” philosophy. We also wrote a bunch of different newsletters, each targeting a specific user group: self-hosted version, cloud, trial, inactive, etc. The segmentation idea later turned out way too complicated and we just decided to send one email announcing the new ActiveCollab. It boiled down to “if someone was interested, they’ll contact our support and get a much better, personalized, service”. Since it not every day that we announce something as big as a completely new ActiveCollab, we wanted to get the best results possible — greatest open rate and click-through rate. So we did several A/B tests in MailChimp to find the perfect recipe. The results were crystal clear — B’s (simplified) click rate was twice as high as A’s, while the open rate was the same. It shows that people don’t read if they don’t consciously choose to. To grab the attention, all you need is a good screenshot, just enough text to communicate the purpose of the email, and one call to action. 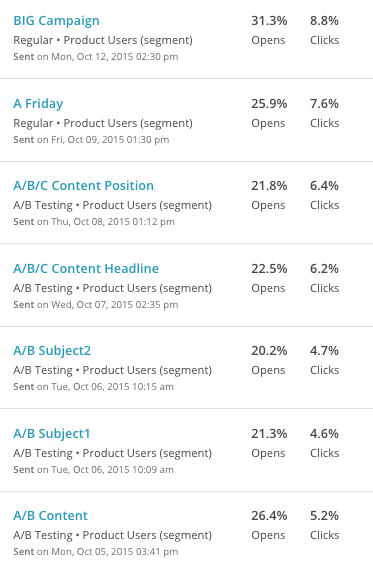 Next, we tested 6 subject lines to boost the open rate. We used the simple version’s content as the basis for all future tests. The simple “Introducing” subject had the highest open rate, while the “Celebrating” didn’t perform as well as we thought it would. That’s because you need to focus on your user’s needs and communicate clearly what the email is about — don’t try to be clever and use click-bait titles, people are obviously sick of them. 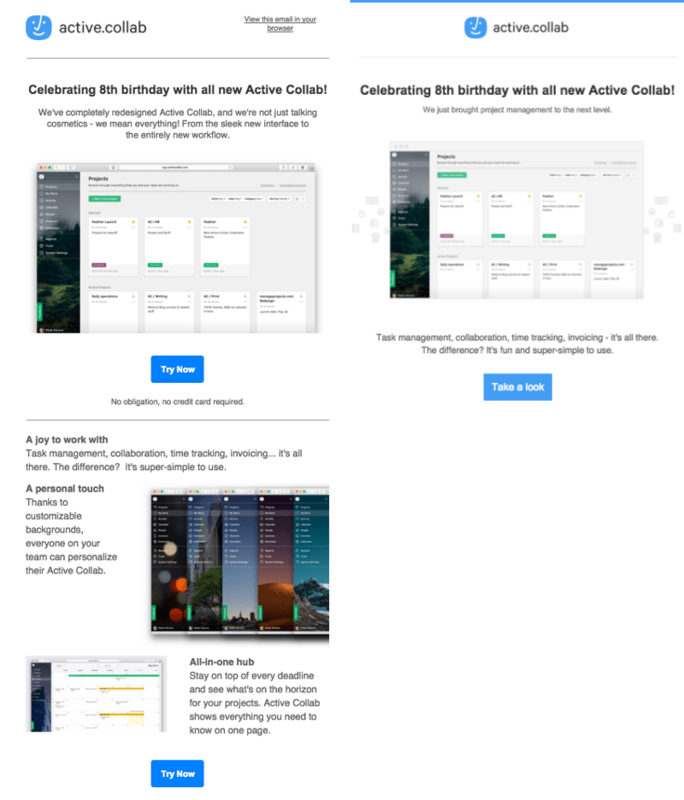 Celebrating our 8th birthday with the all new ActiveCollab! The nice and simple “You’re gonna love” won. It’s easy to read, positive, and loveable — exactly the mood we were aiming for. We had enough information to craft the perfect email. But we wanted to fiddle a little more since we were having so much fun — this time with the position of different elements. The results weren’t that exciting: the classic layout won and we confirmed what we already knew. The highest rate of any combinations was on Monday, the B variant (the super simple one) — but it didn’t have the best headline or the subject line. So we concluded that Monday was the best time to send out the newsletter. But we wanted to be thorough so we decided to run another campaign on Friday. The results were better than any previous campaign but not as good as the Monday B. We tested everything: the layout, headline, subject, day, amount of information. All left to do was to run the winning combination. 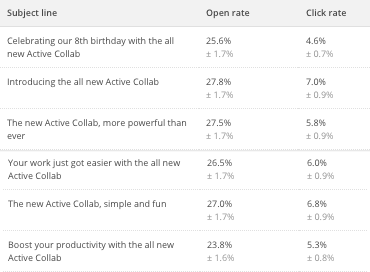 On Monday (October 15, 2015) we sent out a huge newsletter announcing the new ActiveCollab — and it had the best results. It was an exciting process, like watching tennis or a basketball match. 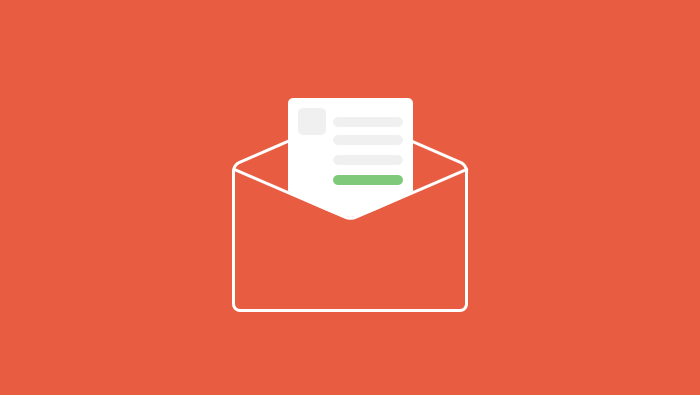 We learned what works and what doesn’t for every other future email.